Computer designed Hyperglide (HG) sprockets incorporate specifically positioned shift ramps and tooth profiles for improved chain control during shifting, resulting in fast and responsive indexed shifting. I picked up the 105 cassette over the Ultegra because I wanted the 12-27 range, but it matches up perfectly with ultegra/dur-ace componenets. The weight penalty is negible, and shifts very crip and quick, will buy another if this cassette ever wears out. Shifts fast, smooth, and quiet. Running 12-27 with a 50-36 compact in the front. Ultegra chain with Sram Rival shifters and derailleurs. I bought this cassette for my indoor trainer. 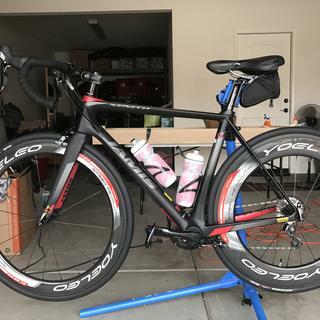 If have Shimano Ultegra on my bike, but went with this 105 because I am not worried about the extra weight on my trainer. Easy to swap out and have no issues. Another great quality Shimano component. 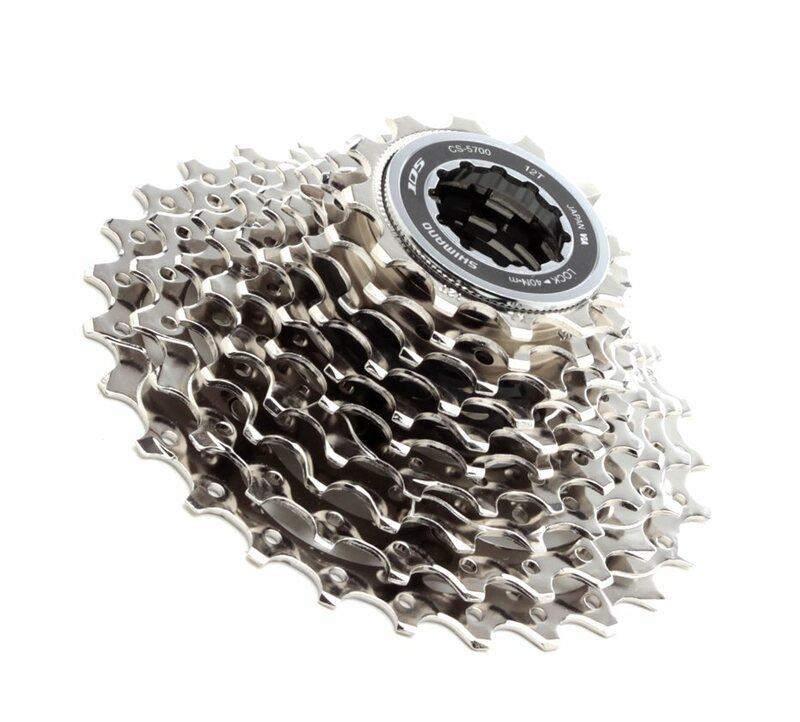 Nice product and excellent price!This 105 cassette has the most cost effective value on the market. Its light, excellent quality at a low price. Replaced my original 105 cassette with this one when my chain slipped after a replacement (should have done that earlier!). Works great. Shimano 105 cassette. Shifts fine works fine looks fine. Best Cassette you the money!!!! Shimano quality, made in Japan, best buy for the money by far!! Works great. Never had a problem. Very reliable, shifts crisp and clean even pulling a hard climb! Why pay more for ultegra or better for something that wears out. Nice cassette. Just installed on my bike at it was a big improvement. Best I've experienced. Though I've heard others may be better this works great and is a good value. Not the lightest, but durable and shifts well. Perfect for cross or any other discipline that burns through drivetrain components fast. Great cassette for DH use. I'm using the Shimano 105 CS-5700 Cassette (11-28T) on my Intense M9 build with a shimano ZEE drive train and it works flawlessly. Great cassette at a great value. Installed this cassette on my back up downhill mud wheels and works well. Replaced my Ultegra cassette with this model to save money and it seems to shift just as well. We bought this cassette to extend the gear ratios for our tandem. Quick accurate shifts are a must on the tandem and this cassette does great. Bought this cassette because I was competing in 3 of Utah's toughest road races. One had +12,000 feet of climb with some steep grades. Needed to have the lower gearing that the 28 teeth low gear would give me. I was worried that it would cause problems with my rear derailler. Once installed it worked great! Nice to get something that works as advertised! I have now over 5k miles logged this summer and the cassette is still in great shape. You don't realize that your drivetrain is worn until you put a new cassette on. So smooth. The shifts are crisp and I can feel and hear the difference. Great place to shop for replacement parts. This cassette is better for climbing than my 11-25. I also purchased this cassette from here and this product, is great! Easy to install of course, shifting is great, and durable. It's exactly what it says. 10 gears, feels light yet sturdy. Works with the 105 shifter and derailer we picked up as well. The best bang for your dollar in a cassette. Easy shifting moderate weight. Delivery was on time as promised. A great upgrade for the money, easy to replace and works as advertised. If not, just scavenge one from an old cassette. The SHIMANO 105 CS-5700 10 SPEED CASSETTE only comes with the 1mm spacer. Will this cassette work with a short cage (30 tooth max) shimano 105 derailleur? BEST ANSWER: The 105 cassettes currently listed don't go lower then a 28 tooth. 25,27,28 is what's listed now. If your 105 derailleur is rated at 30 teeth max it would work. Definitely if it's a 10 speed derailleur. 9, 8, 11 speed derailleurs typically work but can be hit and miss. The cassette I bought has a 32 and it would not work typically with a short cage. But some people get them to work. But if the 30 tooth limit may not be the cog size. It could be the max difference between the front gears and the rear gears. You would need to do google search to understand how to calculate that. Would this cassette work with a 10 speed SRAM Rival groupset? BEST ANSWER: I'm sorry for the previous answer ... I confused the product that was being asked about with the wheelset I bought at the same time. For optimal results, I don't think you should mix groupsets. Although, I don't believe there would be any issues mixing this Shimano cassette with the other SRAM drivetrain components (and I've done similar with success with SRAM front rings mixed in with Shimano drivetrains). Personally, I'd opt for the SRAM cassette just so everything is manufactured by the same company. Not sure - I run it with ultegra. From what I remember with Sram, it was always intended to be interchangeable with shimano. I would just ensure that the spacing will run with the chain you are running but it should be fine. I've got a 10 speed Shimano cassette on my rear wheel. The wheelset comes with a spacer for 10 speed cassettes, and it is stated to work for either Shimano or SRAM cassettes. will this cassette fit the ultegra 6600 deep spline freehub body? BEST ANSWER: Yes, I have both the 11-25t and the 11-28t cassettes that Jenson 's offers. I installed them on 2 sets of NOS (new old stock) 6402 8/9/10 spd Ultegra hubs that I had stored away.